What a tremendous book! I read this book in the Fall of 2009. I was so impressed and fascinated by this book I decided to read it again. This is one of those books that should be required reading for every Western Civilization citizen from Europe to America. As I've finished each chapter, I updated this post with quotes and thoughts I found interesting. Salamis, September 28, 480 B.C. The first battle discussed is Salamis. The main point of this chapter was that free men fight better than enslaved men. The Greek concept called eleutheria was why the Greeks defeated the Persians in this decisive battle. "Greek moralists, in relating culture and ethics, had long equated Hellenic poverty with liberty and excellence, Eastern affluence with slavery and decadence. So the poet Phycylides wrote, 'The law-biding polis, though small and set on a high rock, outranks senseless Ninevah'" (p. 33). "When asked why the Greeks did not come to terms with Persia at the outset, the Spartan envoys tell Hydarnes, the military commander of the Western provinces, that the reason is freedom: 'Hydarnes, the advice you give us does not arise from a full knowledge of our situation. You are knowledgeable about only one half of what is involved; the other half is blank to you. The reason is that you understand well enough what slavery is, but freedom you have never experienced, so you do not know if it tastes sweet or not. If you ever did come to experience it, you would advise us to fight for it not with spears only, but with axes too.'" (p. 47). So the first element of why Western culture is so deadly is that we fight for freedom ... we fight for our families and our way of life. I wonder if many of our citizens today realize what we have. If we were to taste or experience anything less than the freedom we have, would we then be more willing to fight for it? Sometimes I feel that too many take freedom for granted. Guagamela, October 1, 331 B.C. The second battle discussed is Guagamela fought by Alexander the Great. What the Macedonians gave Western culture was shock battle. Despite the perfect, prepped and flat terrain for his scythed chariots, Darius was not fully prepared for the full-on onslaught of Alexander's shock troops. Cannae, August 2, 216 B.C. Hannibal Barca was brilliant, but the Roman way of war was truly resilient. After it's second greatest defeat ever, Rome did not wallow in the mire of loss. Rather it came back with avengence. By 202 B.C. the Romans had turned the war around and had invaded Carthage. 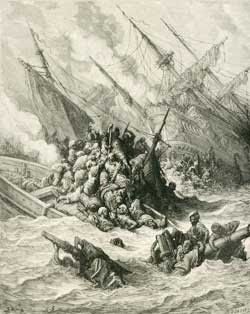 The Battle of Zama brought the utter defeat of Carthage. The reason Rome was able to turn defeat in Cannae into complete victory was due to their constitution and their nation-state, both of which enabled it to systematically raise, organize and deploy legions year after year, battle after battle and war after war. "Under the late republic and empire to follow, freed slaves and non-Italian Mediterranean peoples would find themselves nearly as equal under the law as Roman blue bloods. The Battle of Poitiers or Battle of Tours does not have a lot of accurate information on it. There are so many differing sources as well as differing opinions on the battle, that it is hard to discern truth from speculation. Hanson readily admits this, but it is all beside the point. The important points are 1) Charles Martel led the European army with infantry (without horses) and 2) the Battle of Poitiers was key in the rise of Western European power. There are several parts I highlighted in the book, but I am only going to mention one because I think it properly sums up the point of this chapter. "Europe's renewed strength against the Other in the age of gunpowder was facilitated by the gold of the New World, the mass employment of firearms, and new designs of military architecture. Yet the proper task of the historian is not simply to chart the course for this amazing upsurge in European influence, but to ask why the "Military Revolution" took place in Europe and not elsewhere. The answer is that throughout the Dark and Middle Ages, European military traditions founded in classical antiquity were kept alive and improved upon in a variety of bloody wars against Islamic armies, Viking raiders, Mongols, and northern barbarian tribes. The main components of the Western military tradition of freedom, decisive battle, civic militarism, rationalism, vibrant markets, discipline, disent, and free critique were not wiped out by the fall of Rome. Instead they formed the basis of a succession of Merovingian, Carolingian, French, Dutch, Swiss, German, English, and Spanish militaries that continued the military tradition of classical antiquity. The title of this chapter is named "Technology and the Wages of Reason." It is so named because he argues that Western culture cultivated an environment of scientific research which was responsible for why a small group of conquistadors destroyed an entire civilization. I have to admit that this chapter was the most fascinating of all the chapters in this book. After reading about La Noche Triste and how Cortés barely escaped the Aztec capitol and then in less than a year how he and his men annihilated the Aztecs, I was truly in awe. Taking all morality about the conquistadors out of the equation, Cortés' comeback has to be one of the all-time best comebacks. And he was able to make that comeback because of the culture in which he was raised and lived. The purpose of this chapter ("The Market-or Capitalism Kills") is to offer evidence of how Western technology and capitalism defeat non-Western culture. Throughout history, non-Western cultures sought out Westerners for technology because non-Western cultures never developed a natural inquiry into science and capitalism. At Lepanto, it was the free market which allowed the money to be raised to invest in quality and powerful ships which, in the first few minutes of the battle, decimated many of the Turkish ships. 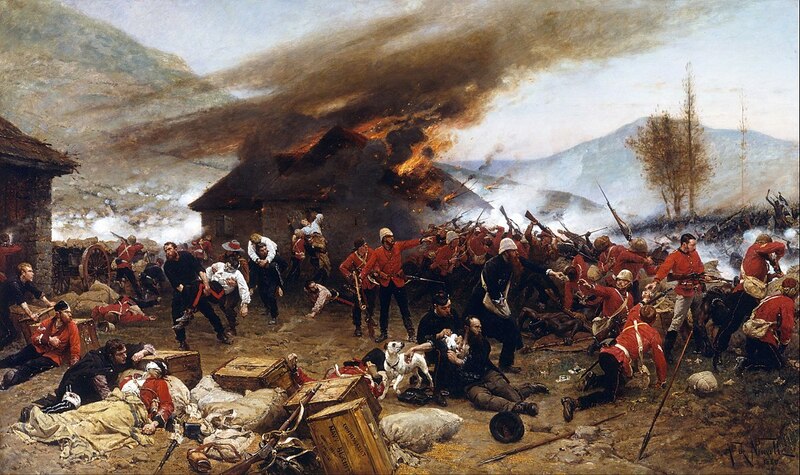 Regarding the aftermath of the battle, "there was to be little exegesis and analysis concerning the shortcomings in the sultan's equipment, command, and naval organization. The main point of this chapter was to demonstrate discipline - the ability to do as commanded in order to fight as one group - to defend the group instead of seeking glory for the individual warrior. There are two quotes that sum up this chapter quite well. The Battle of Midway is used to demonstrate Western individualism. Hanson cites four critical ways the Americans demonstrated Western individualism and thus won this key battle. 1) "the breaking of the Japanese naval codes"
2) "the repair of the carrier Yorktown"
3) "the nature of the U.S. naval command"
He also notes that Japan, although militarily "Westernized" did not change culturally in conjunction with their military revolution and thus caused failures in their defeat at Miday. Here are a few quotes I had noted from the book. Reading this chapter, like the rest of the book, was quite enlightening. This chapter did much to explain not only this key battle in the Vietnam War, but also why and how that war was fought. All I've known of this war is from watching Hollywood movies. So reading this chapter has really opened my eyes. Like the chapter on Cortes and the Aztecs, in which I learned some heavy statistics about the gory and bloody habits of the Aztecs, I learned about the brutality of the North Vietnamese. It seems that when it comes to Conquistadores and the US military in Vietnam, all we hear about are the brutalities of Cortes and the Marines. But when compared to the Aztecs and North Vietnamese, these sins seem to pale in comparison. The Western media was quick to point out Western mistakes and atrocities, but mute on the utter evil the Communists committed. The reasons behind this imbalanced view are complex, but the fact that this dissention even exists is wholly attributable to Western culture. There are two passages that stood out to me. The first essentially discusses what went wrong in the war. The second sums up the role of dissent and self-critique, which was always on display, in the Viet Nam war. "How odd that at the pinnacle of a lethal 2,500-year-old military tradition, American planners completely ignored the tenets of the entire Western military heritage. Cortes - also outnumbered, far from home, in a strange climate, faced with near insurrection among his own troops and threats of recall from home, fighting a fanatical enemy that gave no quarter, with fickle allies - at least knew that his own soldiers and the Spanish crown cared little how many actual bodies of the enemy he might count, but a great deal whether he took and held Tenochtitlan and so ended resistance with his army largely alive. Lord Chelmsford - likewise surrounded by criticism in and out of the army, under threat of dismissal, ignorant of the exact size, nature, and location of his enemy, suspicious of Boer colonialists, English idealists, and tribal allies - at least realized that until he overran Zululand, destroyed the nucleus of the royal kraals, and captured the king, the war would go on despite the thousands of Zulus who fell to his deadly Martini-Hentry rifles. "This strange propensity for self-critique, civilian audit, and popular criticism of military operations - itself part of the larger Western tradition of personal freedom, consensual government, and individualism - thus poses a paradox. The encouragement of open assessment and the acknowledgment of error within the military eventually bring forth superior planning and a more flexible response to adversity. I'm afraid I'm a victim to how Western media has continually criminalized the West for its wars and brutalities. There are two sides to every story. It seems as though all we hear is the one-sided, constant put-down by those who want to see the West destroyed. The way I see it is that if it were not for the West and its culture, the world would be a much more brutal place with much more death and destruction and injustice. Death and destruction and injustice will always exist among our imperfect human race. But that does not mean we simply let tyrants rule us or that we impugn those who seek to destroy tyranny. The West has consistently provided a culture which allows freedom to exist and flourish. Without that culture (and the military tradition to go with it), the world would indeed be ruled by tyrants and millions more would be slaves rather than free men. While I didn't agree entirely with some of Hanson's analyses (he didn't devote a badly-needed chapter to Athens' disastrous military adventure in Sicily, and the Spartan general Gylippus' turning that campaign around by imposing Spartan organization, tactics and discipline on the men of Syracuse), it's still a valuable book I wish that the current Presidential candidates and their military policy advisors would read. None of them seems to have done that; the Republicans who even have an explicit military policy seem to want to dust the Bush defense program off, while Trump, Clinton and Sanders either have no defense policy worth describing or are afraid to share it. We need to look at the advantages we have as the world leaders of engineering and advanced physics, with a military full of men and women who have studied tactics, defense technology and strategy in an open, mostly collegial environment lacking among our main adversaries. 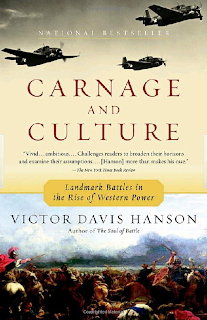 We need to fight to the strengths Hanson illustrates in Carnage and Culture. Coonass, I respectfully disagree with your example of the Athenian Expedition to Sicily and why that example does not illustrate Hanson's primary thesis that the West has a unique "way of war" that devastates and dominates armies influenced in any other way. Hanson demonstrates the unique lethality of western armies clashing with eastern. In the debacle that was Sicily, we have two WESTERN societies clashing in a particularly brutal way. Sicily demonstrates Hanson's other premise which is what you have in Sicily: When two western powers clash, the result is devastatingly and uniquely bloody and conclusive. While Gylippus and Hermocrates clashed with Nicias, et al. we must remember that BOTH sides employed the western way of war. The Athenian Expedition, while historically compelling, does not illustrate Hanson's primary thesis.